When you shop for groceries, you have a lot on your mind: finding the bread that has the latest expiration date, deciding what ingredients you need for a quick crock pot meal, comparing calorie counts, calculating which unit price is actually a deal. Keeping track of the different factors involved in food can be overwhelming. But what if I told you that you could take how animals are raised off your list? The animal agriculture community, made up of farmers and ranchers, veterinarians, nutritionists, meat processing companies and more, recognizes that animal welfare is a subject of interest – and possibly even concern - for many consumers. If you have never visited a farm, you may not be sure how animals are raised. Some of the things you read on social media or see in the news might make you curious about what programs are in place that ensure high standards of animal welfare throughout an animal’s life. The animal agriculture community has worked to become more and more transparent over the past few decades and wants to be sure that you have access to information to get your questions answered and make informed decisions. No matter what meat, poultry, dairy and eggs you buy, you can have confidence in how it was produced. First and foremost, farm families take their ethical obligation to providing the best quality care to their animals very seriously. Although farm size and type of production practices may vary, one thing farmers and ranchers have in common is the commitment to caring for their animals. This commitment to animal welfare is tied to specific community animal care guidelines. These programs help farmers, ranchers and processors improve the lives of their animals and stay updated with the help of scientists, veterinarians, and animal welfare experts. These guidelines help ensure that animals are raised in conditions that support the “five freedoms.” These freedoms state that animals must be provided water, food, proper handling, health care, and environments, and should be cared for in ways that prevent and minimize fear, pain, distress, and suffering. 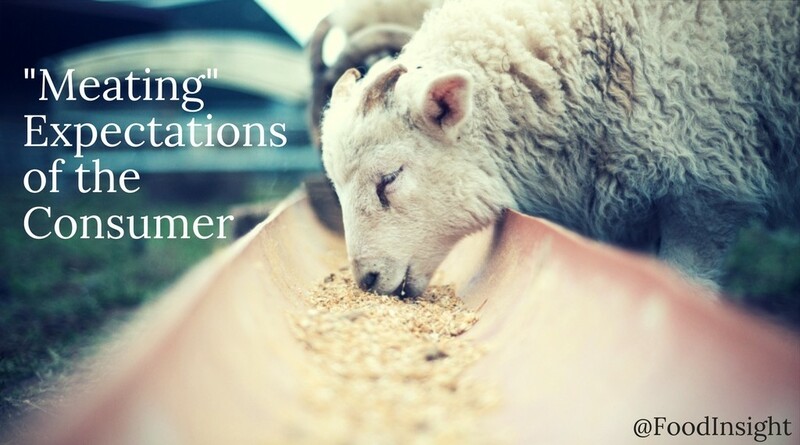 Industry guidelines help better define these concepts by explaining what they mean for each specific animal and providing measurable standards. One example is the United Egg Producers’ UEP Certified Program that offers guidance for the well-being of egg-laying hens, addressing concerns such as animal handling, space for hens and nutritional needs. More than 85 percent* of the eggs produced in the U.S. come from farms that voluntarily participate in the program, which requires them to open their farms to independent auditors. Another example of this practice is through the Pork Quality Assurance program, which provides guidelines for proper care to ensure that pigs are healthy and safe. The program addresses caretaker training, space allocation and animal handling, among other topics. There are similar programs in place for dairy (Farmers Assuring Responsible Management), beef (Beef Quality Assurance), chicken (National Chicken Council Animal Welfare Guidelines), turkey (National Turkey Federation Animal Care Best Management Practices), veal (Veal Quality Assurance) and sheep (American Sheep Industry Association Animal Care and Welfare Program). In addition to the industry animal care guidelines, many farms also participate in third-party animal welfare audits. The audits are performed to verify that farmers and ranchers are using best management practices to ensure the health and well-being of the animals under their stewardship. It is another way to show their commitment to raising livestock and poultry responsibly in order to produce safe, wholesome and nutritious protein for you and your family. Along with these certification and assurance programs, the United States Department of Agriculture is another source that supports animal welfare through its regulations and laws (such as the Animal Welfare Act) to regulate the processing of animals for meat production. While you have an abundance of choices in the grocery store, you can find options that fit your values and budget, while supporting farm families who share your interest in ensuring that livestock and poultry are well cared for and healthy. *Article was updated with 85 percent participation in UEP Certified, compared to original article.